The table below covers Technical Specifications and features for the entire range of Models. Prod. Rate/Min 6 – 10 Pcs. 6 – 8 Pcs. Machine Net Wt. 430 Kg. 430 Kg. With our comprehensive knowledge in the concerned field, we have emerged as a dominant name engaged in manufacturing and supplying extensive assortment of excellent quality industrial machines. 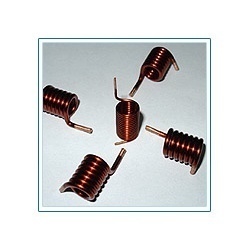 Our range includes great performance Compression Spring Making Machine, MCB Copper Coil Winding Machine, Spring End Grinding Machines, Torsion Spring Making Machine. Manufactured from superior grade metal and latest technology, our offered products are in compliance with the international quality standards. Our cutting-edge infrastructural facilities have enabled us to undertake bulk orders and manufacture exceedingly efficient machines that efficiently sever the heavy duty applications of different industries. In addition to this, our experienced quality inspectors strictly monitor the entire manufacturing process to ensure that range is free from manufacturing defects. These products are readily accepted worldwide for matchless quality, reliable performance, high efficiency, durability and robust construction. Besides, we also have the ability to manufacture our products as per the exact requirements of our clients.